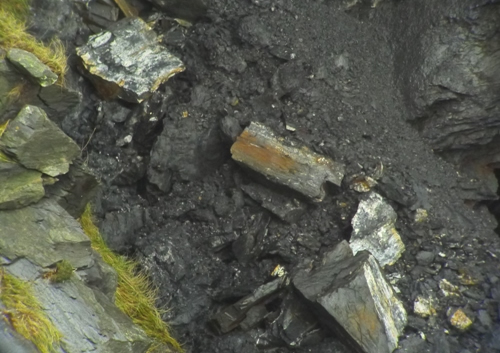 Like the rest of the Cornish coast, the mainland haul out beach hasn’t come through the recent storms unscathed. A large quantity of sand has been ripped off the beach revealing lines of boulders under the cliff and somewhat surprisingly a rocky wave cut platform. 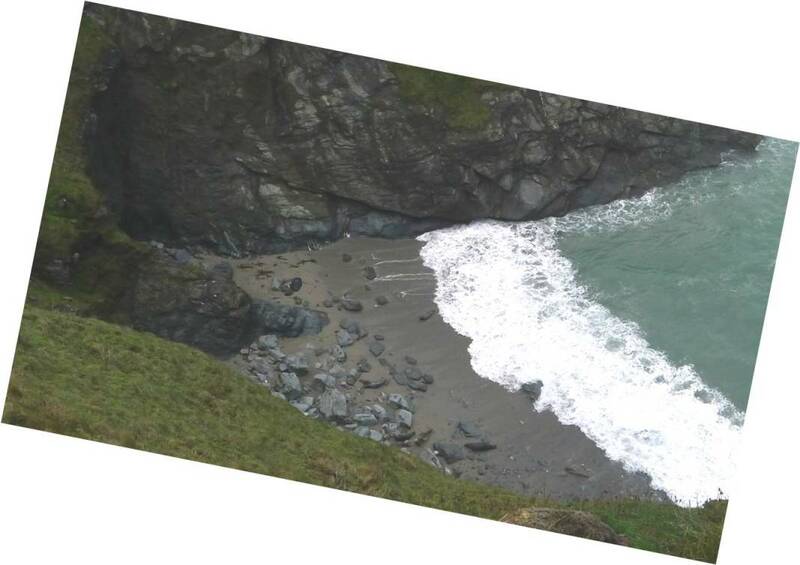 Whilst it is hard to judge scale from distance, it would appear that at least a metre’s depth of sand has been removed from this side of the beach, not that it seems to have made any difference to the seals present! 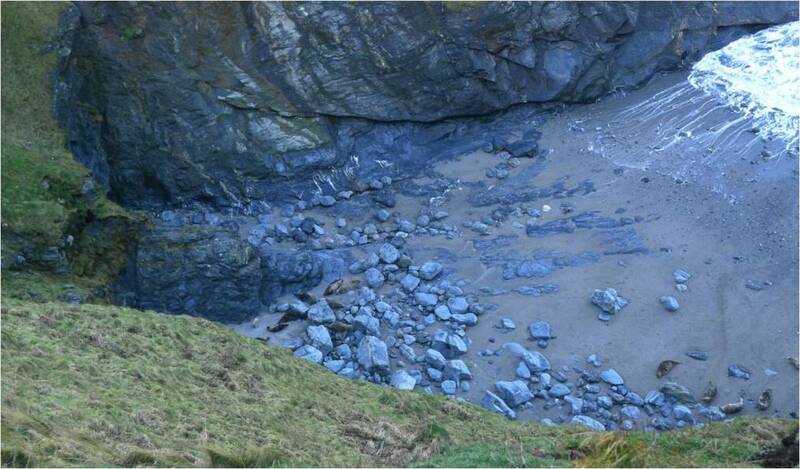 Accompanying these changes have been two small rock falls at the back of the haul out beach. 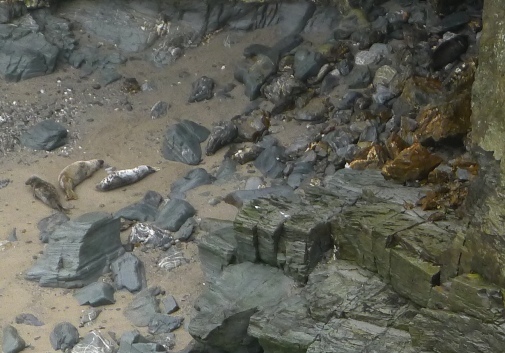 Both have occurred in spots where seals like to sleep, so it can only be hoped that these falls occurred when the tide was too high for seals to be present. Obviously for any seal in the vicinity these falls can be anything from just frightening to fatal, but in the big scheme of things they are small falls that will quickly be dissipated by the sea. There have been several much worse falls on this beach 2005 and 2007, in which seal have been killed. Fingers crossed that the worst is now over for this year.